PARIS (Reuters) - Upmarket handbag maker Hermes, one of the luxury brands still riding high on strong demand from Asian clients, said on Wednesday it had not observed any change in sales trends so far this year. The French label, known for its squared silk scarves and Birkin handbags that sell for more than $10,000, posted a 15 percent rise in net profit for 2018 to 1.4 billion euros (1.20 billion pounds). Operating income rose 6 percent to 2 billion euros. A U.S.-China trade war has raised fears that firms heavily reliant on Chinese demand will suffer as the mood among consumers sours, though some luxury labels appear to have retained their appeal as younger shoppers seek out branded goods. "There is no trend change at this stage," Chief Executive Axel Dumas told journalists. Hermes remained cautious for 2019 but was confident about its longer-term prospects. Hermes had already reported 10 percent comparable sales growth for the fourth quarter, with revenue expanding in Asia Pacific at a quicker pace than in the previous three months. Along with rivals such as LVMH's Louis Vuitton, and Kering's Gucci and Balenciaga brands, it is one of the high-end labels still profiting from thriving Chinese demand and a mostly benign industry backdrop globally. By contrast, Italy's Salvatore Ferragamo and Tod's are among those struggling to reverse a drop in sales and core profit, and are bidding to rejuvenate their brands as they invest in marketing. Dumas said all of its divisions, which also include perfumes and watches, were still performing well globally in terms of sales volumes in the first few months of the year, though the silk unit remained in a phase of moderate growth after revenue expanded at a slower clip last year. 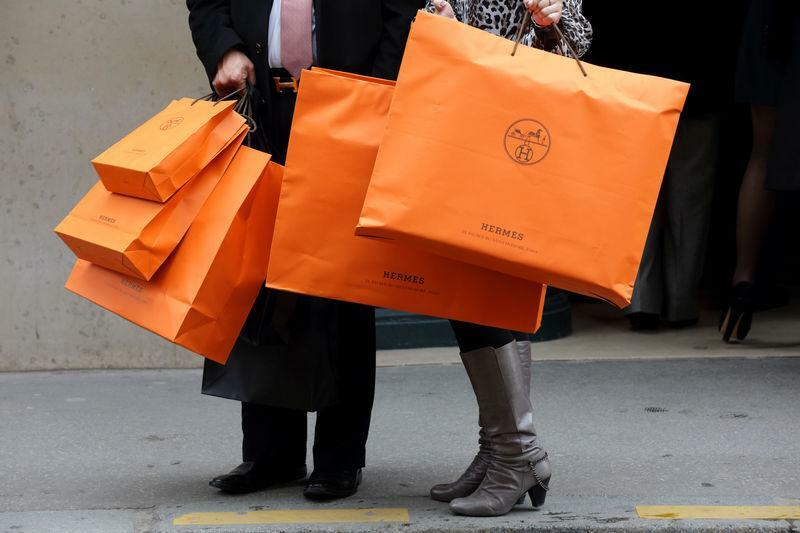 Hermes was increasing its prices globally by 3 percent in 2019, Dumas added, to adjust for increased production costs. Margins reached 34.3 percent of its sales in 2018, a slight dip from the record reached a year earlier as rises in production costs outpaced those of its merchandise, although they remain among the highest in the industry.